Her book is...HOW NOT TO COOK FOR THE REST OF YOUR LIFE. Marilyn Sternberg was born in Manhattan on February 26, 1943 to Russian émigrés: Cantoress and actress Fraydele Oysher and father Harold Sternberg, who was a senior basso with the Metropolitan Opera for 37 years. Her uncle was the cantor and film actor Moishe Oysher. Marilyn began performing with her mother at age 7 on the Yiddish stage and throughout Canada. 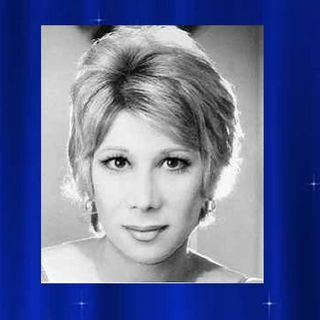 At 14, she was soloist in her father and uncle's choir, and also sang ... See More duets with Oysher on the classic recording, "Moishe Oysher’s Chanukah Party." She attended the High School of Music and Art as a music major, but switched to Art in her sophomore year. While still in high school, she was signed to Debbie Records, headed by Ray Rainwater (brother of Marvin Rainwater) and her first single, "Johnny Where Are You," was produced by Phil Ramone. This was followed by a recording contract with RCA Victor record producers Hugo and Luigi, for which she sang "Tell Tommy I Miss Him" — the answer-song to the hit "Tell Laura I Love Her" — by Ray Peterson. She recorded both U.S. and UK versions. She later recorded for Warner Brothers and ABC Paramount  and appeared on The Ed Sullivan Show, The Hollywood Palace, The Jackie Gleason American Scene Magazine and NBC’s Hullabaloo, with Sammy Davis Jr. She would appear with Sammy Davis Jr. again on The Name of the Game, The Flip Wilson Show, and Sammy in Acapulco.